People who show up in the Active tab or have a or recently active time next to them are recently active on Messenger or Facebook. Android: From Home, tap Active at the top of the screen.... "Unable to add the buddy for an unknown reason." The problem occurs only at buddies I added recently added. 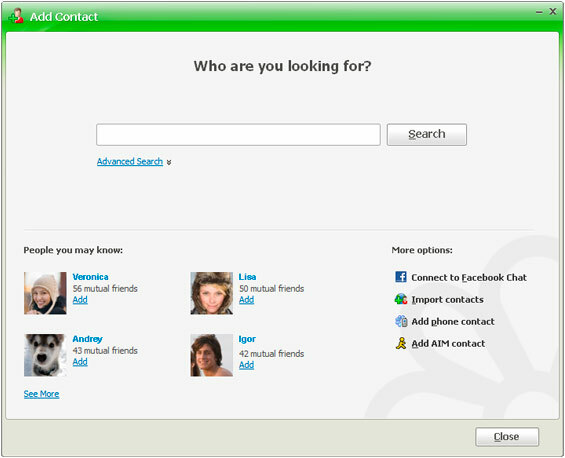 Older contacts which are in my contact list for years can be blocked or unblocked without any problems. I've got a small bot communicating with users on ICQ, it's using Twisted.Words, Oscar protocol. I need to see their online status, but that seems to be only possible when I have them in my buddy list.